Female genital mutilation is a sickening, depraved form of child abuse and we will do all we can to ensure all perpetrators are brought to justice.” — British Home Secretary Sajid Javid. “It is the physical damage and emotional damage as well. It can be very, very damaging. The person who should be protecting them in the first place has usually arranged and facilitated it. How can you rebuild that link to the person that should be protecting you?” — Inspector Allen Davis, the Metropolitan Police Service lead officer for FGM. “The grooming gang cases are again one of the only near parallels. As a number of official inquiries have revealed, in Rochdale, Rotherham, Oxfordshire and a growing list of other places, there must have been hundreds if not thousands of people who were not perpetrators in the cases but who knew something was going on. People who worked in social services, local police, hotel owners and others… but decided to turn a blind eye… But it had also become a local custom… There is something to be grateful for in the Old Bailey prosecution this week, certainly. But underneath it are deep questions which cannot go unaddressed.” — Douglas Murray, The Spectator. In a landmark ruling, a mother-of-three has become the first person in Britain to be found guilty of female genital mutilation (FGM), a practice that has been outlawed in the country for more than three decades. Pictured: Part of an anti-FGM poster produced in the UK by the Metropolitan Police, in conjunction with community organizations. Editor’s Note: February 6 is International Day of Zero Tolerance for Female Genital Mutilation, a United Nations-sponsored annual awareness day aimed at eradicating the practice. In a landmark ruling, a mother-of-three has become the first person in Britain to be found guilty of female genital mutilation (FGM), a practice that has been outlawed in the country for more than three decades. 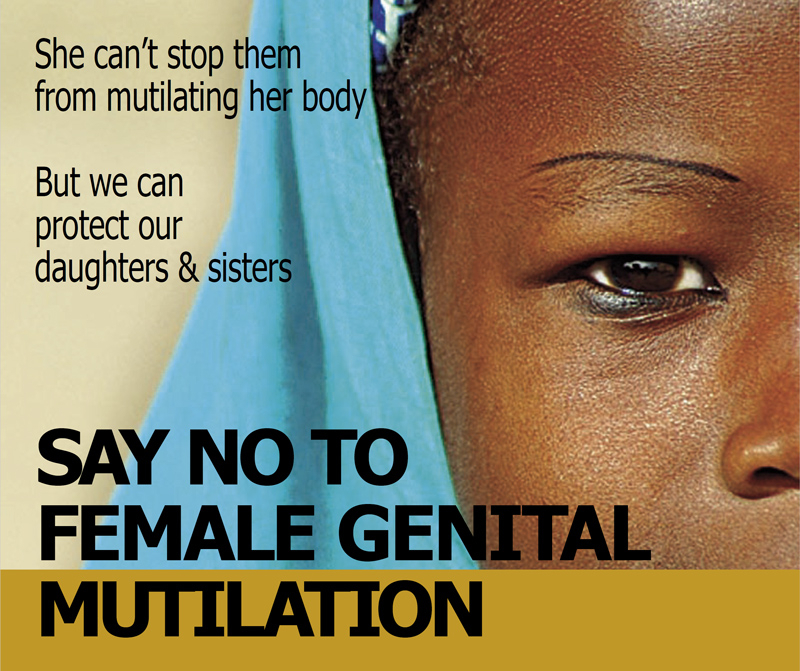 Under British law, anyone found guilty of performing FGM can be imprisoned for up to 14 years. It has been illegal in Britain since 1985 under the Prohibition of Female Circumcision Act, later amended in the Female Genital Mutilation Act 2003. Although more than 100,000 victims of FGM are believed to be living in Britain, only three other cases of FGM — two in London and one in Bristol — have been brought to trial, all of which ended in acquittal. Analysts say that the lack of convictions is partly due to a failure by doctors and police to report FGM for fear of being branded racist. On February 1, London’s Central Criminal Court convicted a 37-year-old Ugandan woman from East London of inflicting FGM on her three-year-old daughter in August 2017. The woman’s partner, a 43-year-old Ghanaian man, also from East London, was cleared of all charges. The victim has been placed in foster care with another family. Police were alerted to the case after the victim, suffering from severe bleeding, was taken to Whipps Cross University Hospital in East London. Doctors subsequently confirmed that her injuries were consistent with being cut with a scalpel. In a series of videotaped interviews, however, the victim told police that she had been cut by a “witch.” Her older brother told officers that he saw his sister crying and “blood dripping on the floor.” Medical experts confirmed that the cause of her injuries was consistent with cutting rather than an accidental fall. “Two cow tongues were bound in wire with nails and a small blunt knife also embedded in them, 40 limes were found and other fruit which when opened contained pieces of paper with names on them. The father denied engaging in “voodoo” or “witchcraft” and claimed he was not in the premises at the time his daughter was mutilated. He did, however, admit that his daughter had been cut. “This was a complex, sensitive investigation with a harrowing crime committed by this defendant. We cannot lose sight that this case is about a very young girl who was the victim of an illegal, horrific and life-changing act at the hands of her mother…. A 2015 report by City University of London estimated that 137,000 women and girls in England have been victims of FGM. London had the highest prevalence rate, at 12.0 per 1,000 population. Manchester, Slough, Bristol, Leicester and Birmingham had prevalence rates ranging 12 to 16 per 1,000. Other authorities, including Milton Keynes, Cardiff, Coventry, Sheffield, Reading, Thurrock, Northampton and Oxford had rates of over 7 per 1,000. The report said that many British girls living in minority ethnic communities in the United Kingdom are taken abroad to their family’s country of origin during the school summer holidays to be subjected to FGM. The National FGM Center said that FGM laws are being “circumnavigated” by performing the procedure on girls at a much younger age. In Yorkshire, for example, a one-month-old baby girl recently was subjected to FGM. West Yorkshire Police revealed that a quarter of its FGM reports between 2015 and 2017 involved victims aged three or under. FGM expert and attorney Dr. Charlotte Proudman, appearing on BBC Two’s Victoria Derbyshire Show, said that there is “a lot of anecdotal data” which shows that FGM is increasingly being performed on babies and infants in the UK. She added that it was “almost impossible to detect” as the girls were not yet in school or at nursery, thus making it difficult for any public authority to become aware of it. “By performing it at such a young age, they’re evading the law,” she said. 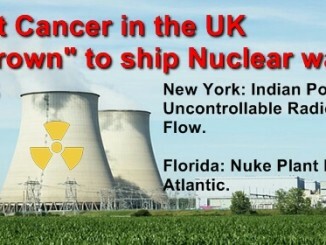 UK Set to Ship Largest Amount of Nuclear Waste to the U.S.